This salad is lovely any season, no matter what the weather. The 5 spice works well with the tangy dressing and all it needs is a plain, crisp salad. Rub 5 spice over duck breasts and pan fry for about 20 minutes, turning once. You want them pink in the middle. If you’re using breasts with skin on you won’t need any oil, just place them skin side down and they’ll cook in their own fat. 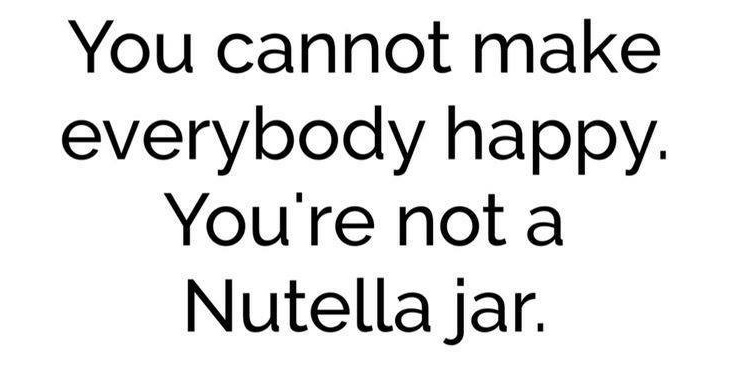 You’ll need to drain some off it off halfway through cooking though. While you leave the duck to rest make up a dressing by combining a tablespoon each of soy sauce and rice vinegar with a few drops of toasted sesame oil (this is enough for two salads). 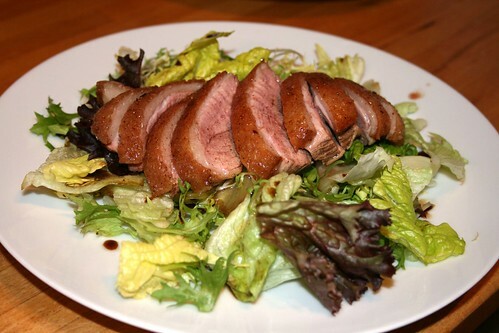 Drizzle this over crispy salad leaves then slice the duck and lay it over the salad. Sprinkle over any duck juices and serve.